VtWProductions: No Excuses Episode #202 - Mystra is Dead. Again. 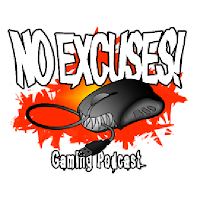 No Excuses Episode #202 - Mystra is Dead. Again. This Week, Total Warhammer is available for preorder, complete with a really dumb preorder reward and day one DLC. Doublefine announces a remake of Day of the Tentacle, to the sounds of happy squeeing. Also Borderlands loot parties, Dresden's power curve, contrived coincidence and the return of the cheerleader.